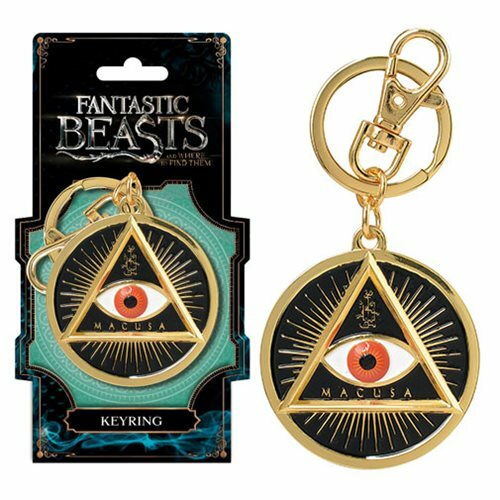 Inspired by the 2016 movie and J. K. Rowling's book of the same name, this metal Fantastic Beasts and Where to Find Them MACUSA Gold Eye Pewter Key Chain displays the eye of the Magical Congress of the United States of America (MACUSA). It also has a clip so you can attach it to your bag, purse, backpack, or whatever! Measures approximately 2-inches in diameter. Ages 13 and up.